The Zeros offer the most authentic and dedicated 80’s and new wave tribute in the Midwest complete with an electrifying and energetic stage show that is a must-see. The Zeros combine a state-of-the-art sound and light show with equally impressive musical prowess to form their unique sound and presence. The Zeros perform only the most popular top 40 songs from the 80’s and thankfully do not perform any “hair band” music (sorry fans of RATT, Twisted Sister, Cinderella, et al). RUBIX KUBE is taking the country by storm as the most original ’80s cover band of all time. Headquartered in NYC, they perform a one-of-a-kind BACK TO THE EIGHTIES SHOW every Saturday night at Canal Room in the heart of TriBeCa. 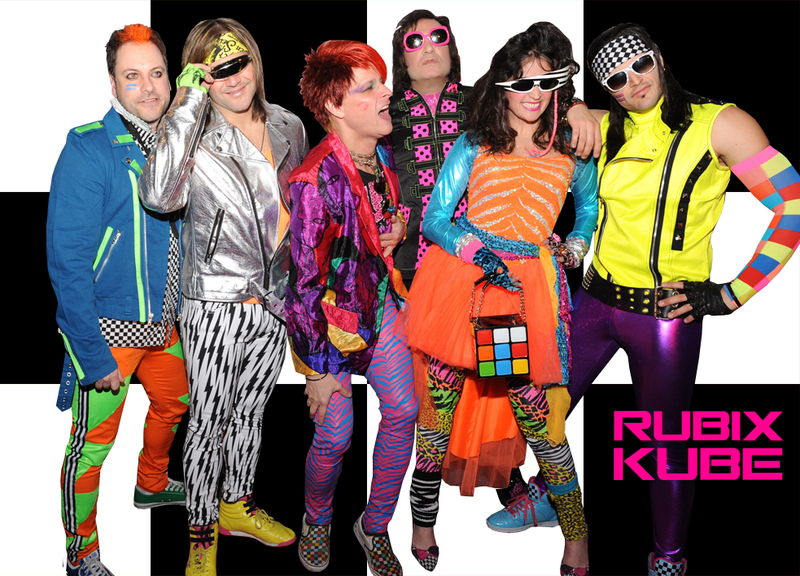 RUBIX KUBE is more than just a tribute band – it’s a totally awesome, true ’80s EXPERIENCE! Every super-charged show takes it to the max and guarantees to set the roof on fire AND bring the house down [metaphorically speaking]. From the BIG HAIR to the BODACIOUS outfits, The Ronald Reagans 80’s Tribute resurrect the most “totally awesome” decade ever… the 1980’s! If you heard it in the 80’s, you’ll hear it from the Reagans. 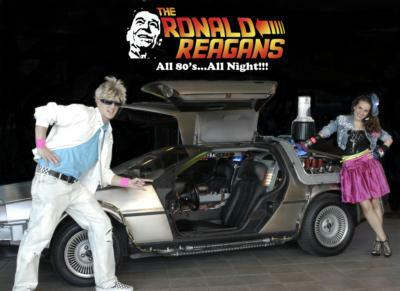 Whether it’s pop, rock, soul, or hip-hop, the Reagans know how to fill the dance floor with your favorite 80’s classics!